Lenovo is currently having a promo that is sure to please gamers and Star Wars fans alike. Until supplies last, every purchase of selected Legion gaming laptops will now come with a free Star Wars™: Jedi Challenges augmented reality (AR) bundle. The Star Wars™: Jedi Challenges bundle is Lenovo’s first foray into the AR gaming space. Launched last year, the gaming bundle features a smartphone-powered Lenovo Mirage AR headset, Tracking Beacon, a Lightsaber controller that looks exactly like the one in the films, and hours of Star Wars gameplay. • Lightsaber Battles. With their own lightsaber controller, players can duel legendary dark side villains like Darth Maul, Kylo Ren, and Darth Vader. • Strategic Combat. Players marshal the forces of the Republic, Rebel Alliance, and Resistance against the might of the Separatists, Empire, and First Order in epic battles across their living room floors. Players can hone their skills in strategy and tactics as they engage in battles. • Holochess. Perhaps one of the most iconic board games brought to film, Holochess captured the hearts of moviegoers when it was played on the Millennium Falcon in Star Wars™: Episode IV - A New Hope™. Brought to life in Jedi Challenges, fans can direct their holographic alien pieces across the board, wrestling for territory and control. “We see tremendous opportunity to continue bringing cutting-edge innovations to the gaming community in the Philippines. Beyond PC gaming, Lenovo is also increasing its foothold in developing immersive AR experiences, as seen in Star Wars™: Jedi Challenges. 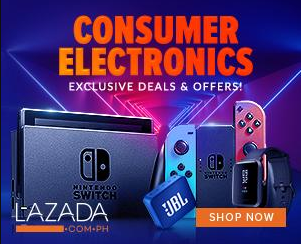 We will continue to excite Filipino gamers with the best-performing devices,” said Michael Ngan, Lenovo Philippines Country General Manager. 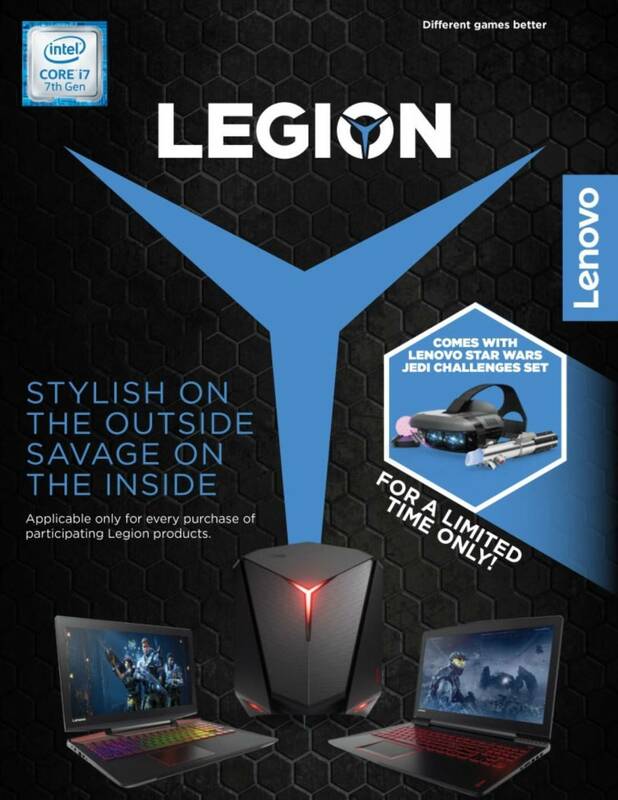 Included in the list of participating Legion products is the Legion Y520. With its 7th Gen Intel® Core™ i7 processor and NVIDIA GTX 1050 Ti 4GB discrete graphics, it can handle graphics-heavy games with ease. It comes up to 2TB HDD storage, 2 x 2W Harman™ Certified Speakers with Dolby Audio™ Premium, and an optional backlit keyboard, wrapped in a smudge-resistant body. It is only 25.8 mm thick and weighs a mere 2.4 kg, making it a perfect gaming laptop for on-the-go players. The Y520 is available at major electronics stores with a starting price of ₱64,995.